The games include FIFA 16, Dishonored: The Definitive Edition, Minecraft, Assassin's Creed Syndicate, Battlefield Hardline, Middle-Earth: Shadow of Mordor GOTY and Metal Gear Solid 5: Ground Zeroes. It’s an odd list. 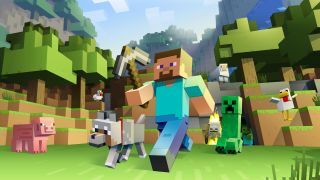 Minecraft and FIFA are obviously big deals, but the rest are a bit older so not exactly ‘must haves’ so it's hard to see the attraction for anyone thinking of signing up. Although there is a logic: if The Division or Dark Souls 3 suddenly became a ‘Prime Exclusive’ people would likely be getting pretty upset about now. The Prime exclusives aren’t even great deals. FIFA is £34.95 new, via Amazon. Click on the option to “see other buying options” and you’ll discover you’re saving a huge three pounds. It’s the same for the rest - what savings there are is minimal and if you don’t mind a used copy then all the Prime prices can be beaten. Given that Amazon deliveries have apparently slowed for non-Prime customers due to the retailer's focus on the subscription service, and now this, the company clearly want you to stump up that £79/$99. Or go somewhere else. I’ve contacted Amazon for more info.